Fall means football and we love it! We enjoy watching the Friday night high school football games and the Saturday college games too. If you have a child that plays football you know they often have long grueling practices. 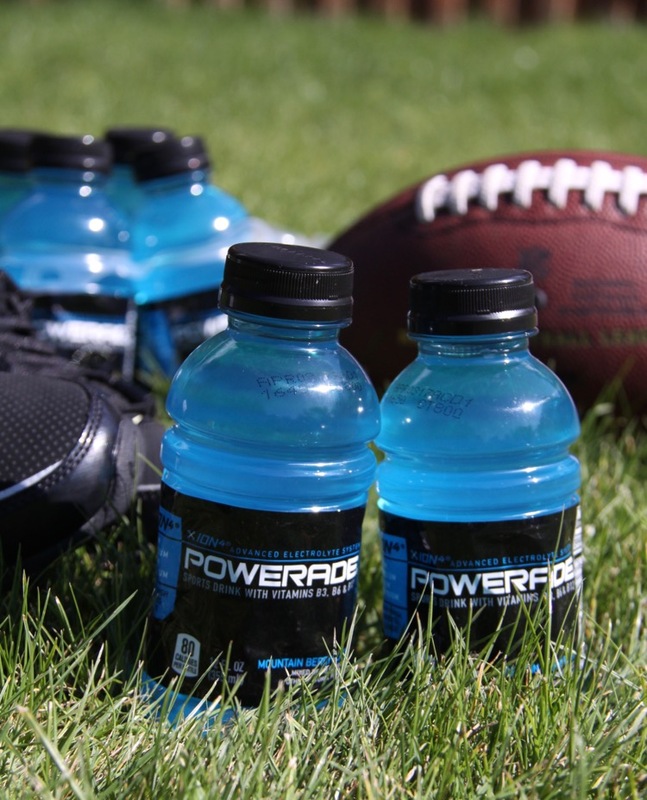 Make sure you stock up on POWERADE to help them stay hydrated and power through those practices. POWERADE is not only great for the athletes, but us spectators too! Cut a triangular pennant shape out of the posterboard. 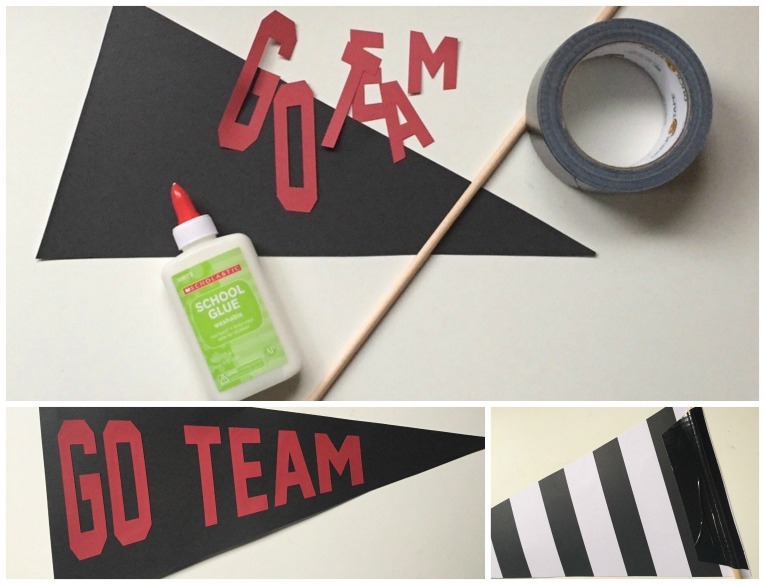 Cut out letters or attach stickers to the pennant. I cut out “Go Team” with my Cricut. Cut the dowel to about 16 inches long. Use Duck Tape to attach the dowel onto the back of the pennant. 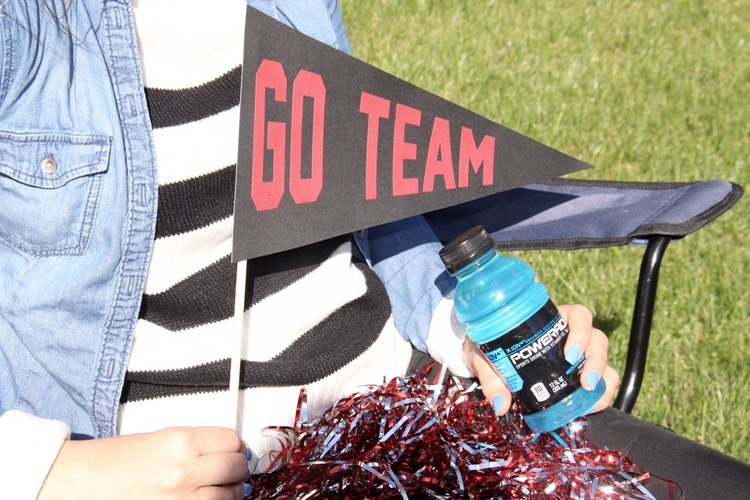 You are done and ready to cheer on your team! In addition to watching our high school team we like to watch our favorite college team too. I love that Saturdays aren’t only about the game, they are also about connecting with family and friends and food…lots and lots of great food! 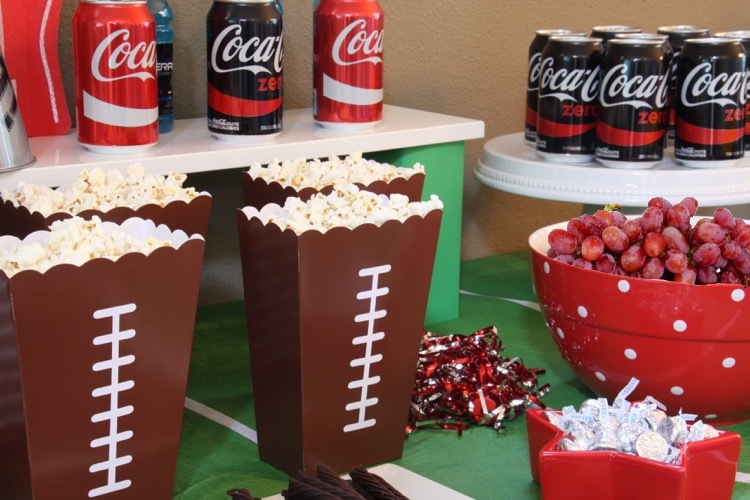 Here are some fun football viewing party ideas to inspire you to throw your own football party soon. 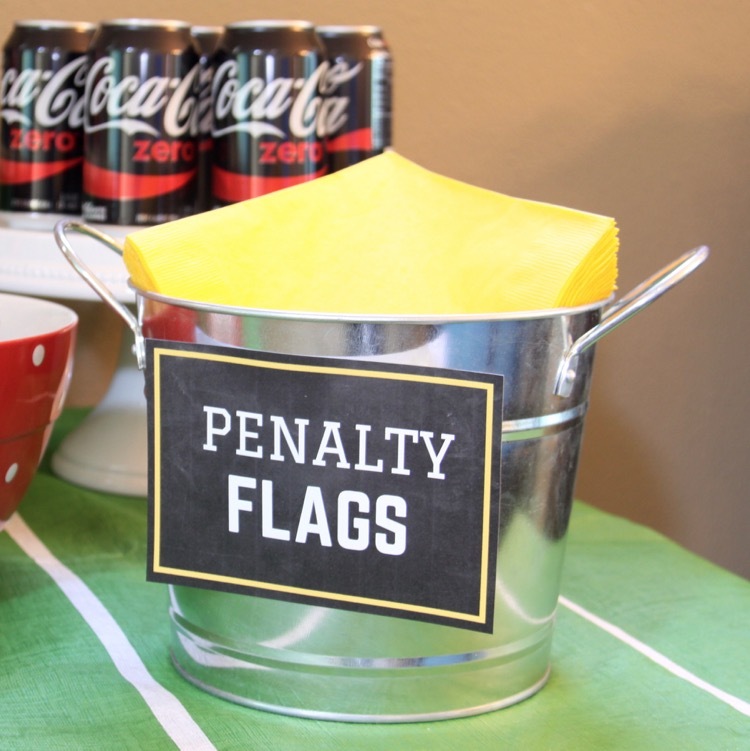 Throw some bright yellow napkins in a bucket and label them “Penalty Flags”, this is a simple and fun way to add a little football flair to your party. 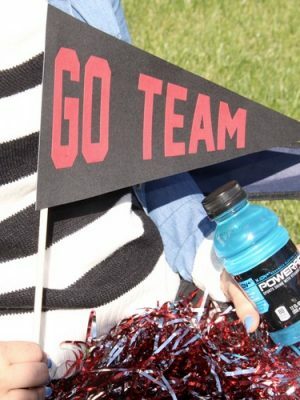 Inexpensive pom poms make great table decorations and you can easily find them in a bunch of different colors to match your teams colors. I love the festive football tablecloth I found at Walmart, it made a great base for my football themed table. When it comes to the food and drink, I like to raise some of the fare up by using tiered trays and cake stands. 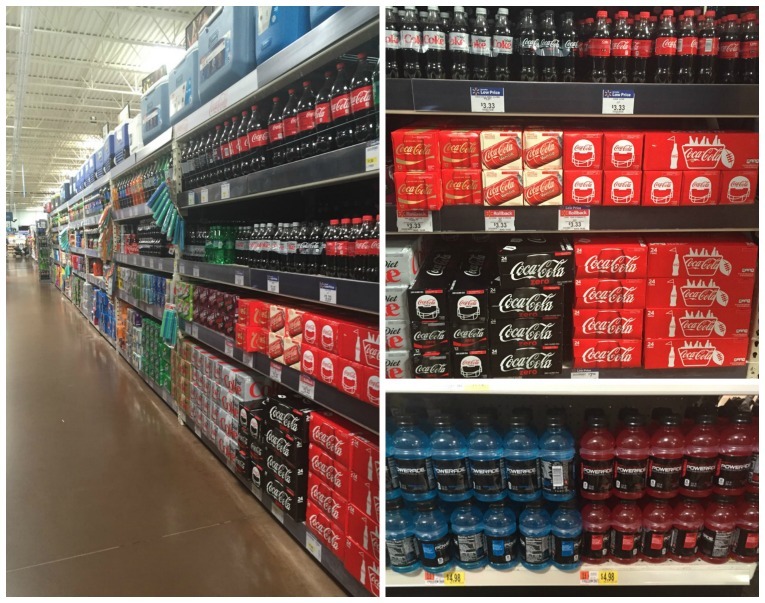 The portion in the back that holds all the Coca-Cola and POWERADE was made using a white shelf I already had on hand and I raised it up by using 2 boxes of pasta from my pantry. I just covered the boxes in green cardstock so you couldn’t tell they were boxes of pasta. I’m all about using stuff you have around the house! 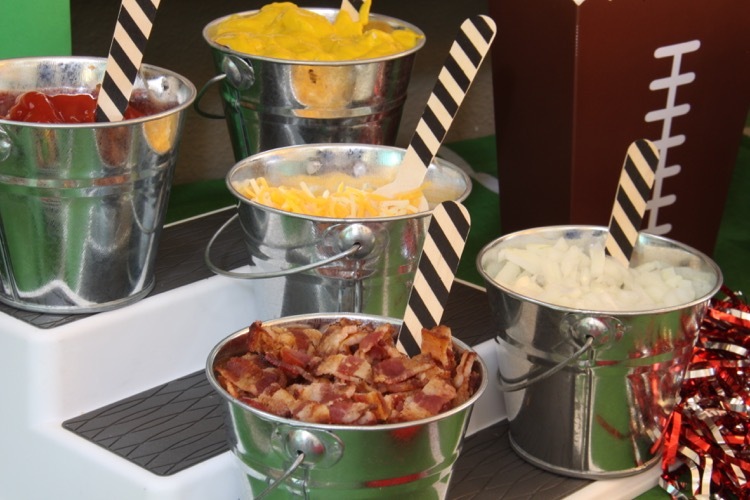 Here is our hot dog condiment station. I put different condiments in small metal pails and placed them on a tiered spice rack that I borrowed from my craft room. This pails work well for a potato bar too, which is another great food option. 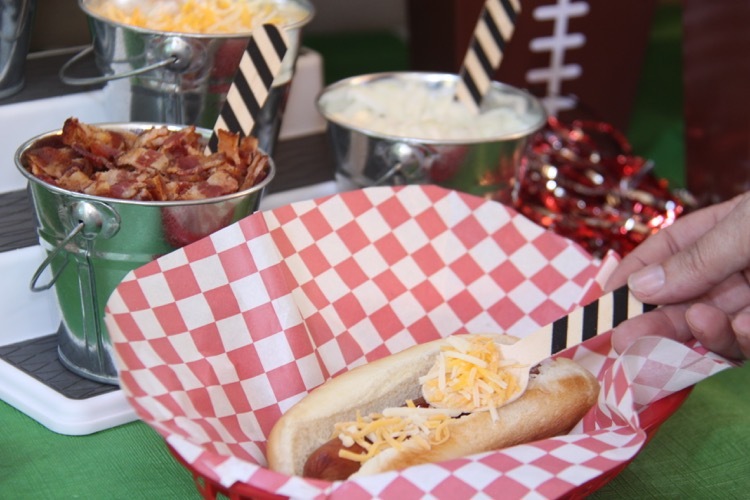 Guests can load up their hot dogs with ketchup, mustard, cheese, onions, relish and bacon. No party is complete without cupcakes! I love that I can make the cupcakes the night before and then just frost them the day of the party. 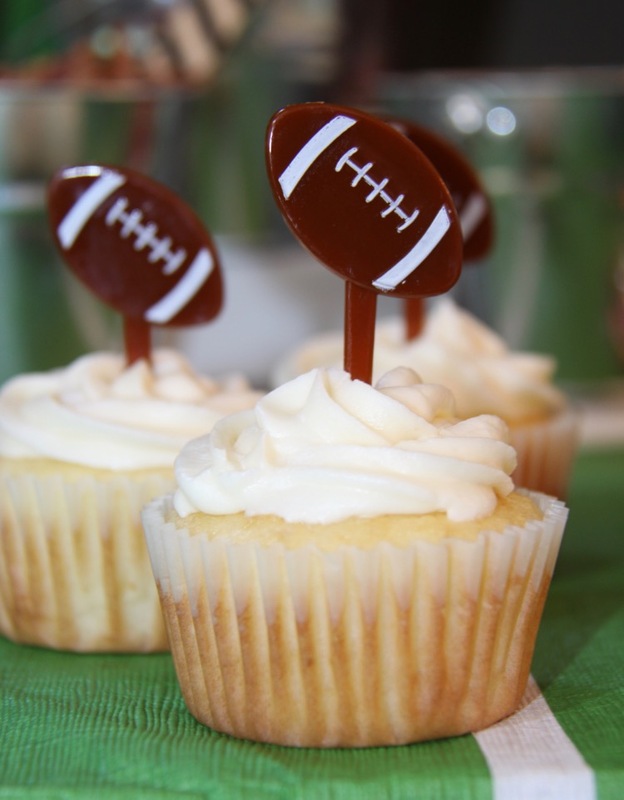 Adding fun football cake toppers is a cheap and easy way to continue the football theme. Popcorn is a must for our family when it comes to football games. I love serving popcorn in these single-serve containers, it helps prevent popcorn from getting all over the place when you have it in one big bowl. Coca-Cola is a classic party drink. 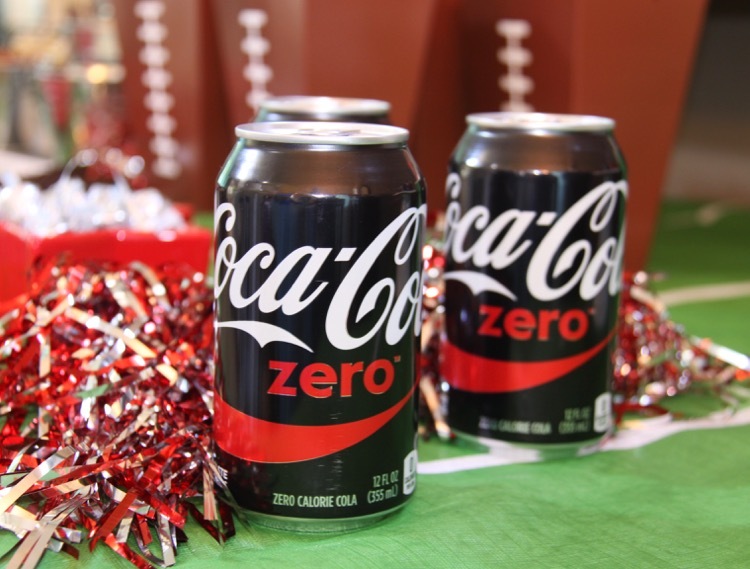 I love that their are so many varieties to make everyone happy, including Coke Zero and the classic Coca-Cola. 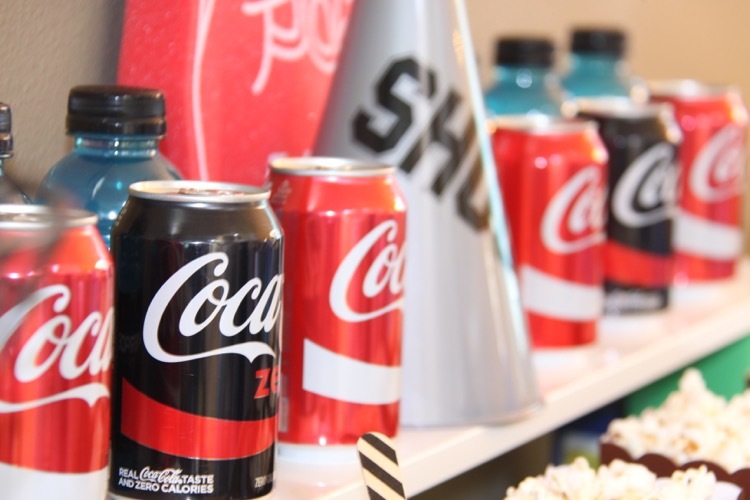 Banners are such a fun and simple way to decorate for parties. 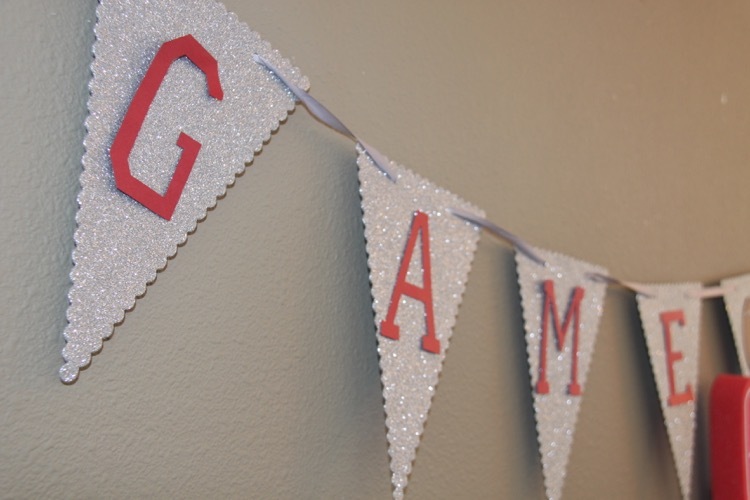 I bought this plain silver glittery banner awhile back and I have used it for so many parties. To customize it for whatever type of party we are having I use my Cricut to cut out letters and attach them to the banner. 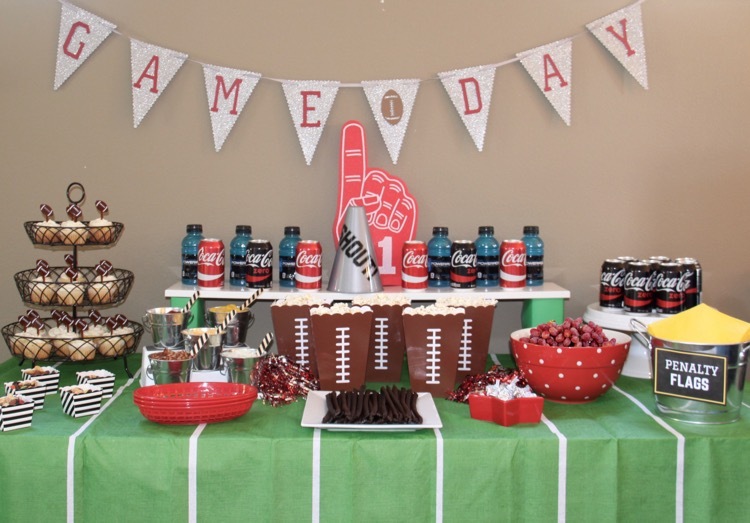 I’ll admit sparkly silver banners probably don’t scream football, but every party needs a little sparkle, right? When it comes to the table decorations you can even use actual footballs you have around your house. You don’t need to spend a ton of money on decorations, I like to save my money for the drinks, food and fun little finishing touches. 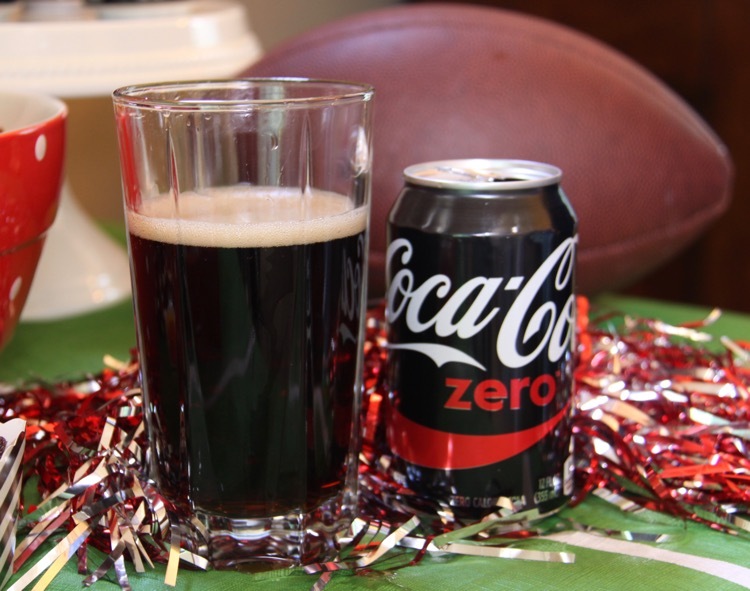 If you plan on hosting a football party check out NotSoFastMom.com for even more tips and make sure you stop by Walmart to pick up Coca-Cola and POWERADE to score extra points with your party guests and your football playing kids. Let’s hear about your favorite high school or college team, will you be going to a game this season or watching it on TV? 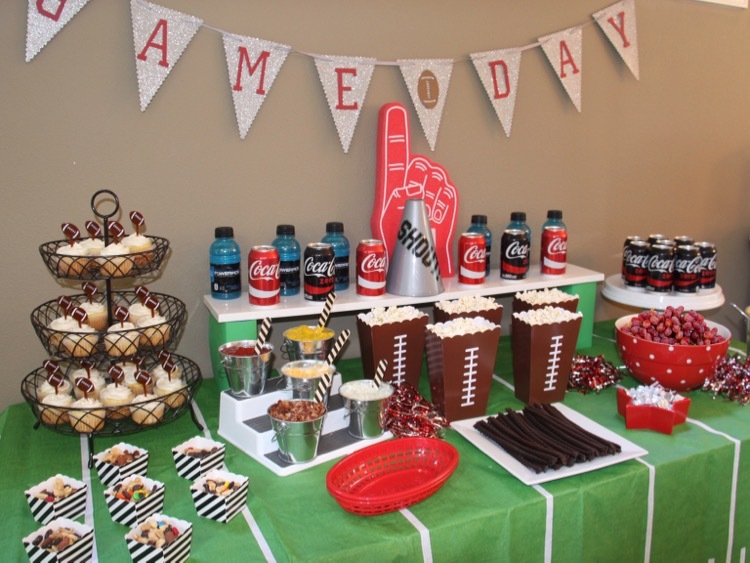 What a fun watch party, and I love how your pennant turned out–the perfect way to cheer on the local team!